farmhouse where 16yo Frederick Douglass outfought "slave breaker"
Edward Covey – and went on to become one of America's greatest slave-abolitionists. IN his continuing search for the more weird and wondrous in the world of travel, David Ellis says that one of the prettiest places you'll find in the USA is little St Michaels on Maryland's Eastern Shore. 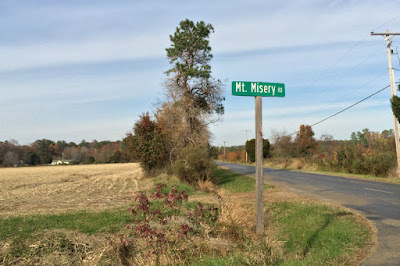 Yet just out of town is a house whose past is steeped in anything but beauty, and because of this both it and the road leading to it are officially named Mt Misery. Built in 1804 and now a holiday-home of former US Secretary of Defense, Donald Rumsfeld, the house was owned at one stage by an Edward Covey, a brutal farmer and "slave breaker" to whom others sent recalcitrant workers to bring into line. The Life and Times of Frederick Douglass (1881). And amongst Covey's own slaves was 16 year old Frederick Douglass whom he on one occasion whipped for fainting on the job, and another time for accidentally overturning an oxcart. But when Covey attempted to tie him up and whip him for another "misdemeanour," the teenager launched into him and a near-two hour fist fight ensued – ending only when Covey threw up his arms in defeat. But "the slave breaker" never admitted this to others, nor ever attempted to whip or beat Frederick Douglass again… Douglass eventually escaping to go on to become one of America's greatest slave-abolitionists. St Michaels (and Mt Misery) are must-visits in the USA, and if you'd like to get the most out of it, get onto Mindie Bourgoyne who runs the local quirky-named Travel Hag Adventures – taking Hag in its original Celtic meaning as someone who is "wise, confident and with goddess attributes."